Don’t miss this exciting and rare opportunity to learn first-hand and directly from the photojournalists themselves what drives them to the front line of conflict zones…and keeps them returning. We’ll screen this award-winning documentary by Andrea Pritchard that paints an intimate portrait of Alexandra Avakian, Carol Guzy, and Yunghi Kim. Then we’ll hear directly from the photojournalists and the filmmaker in a panel discussion moderated by conflict photojournalist and co-author of the book The Bang Bang Club, Greg Marinovich. This is an extraordinary, up-close opportunity to engage these remarkable people in a comfortable, intimate setting. A similar program at New York’s International Center for Photography quickly sold out in January, so arrive early. Better yet, secure your seats now from our limited number of advance-purchase, discounted tickets at $12 each through Eventbrite. Tickets at the door are $15 general admission, $12 for PRC members, $5 for students, and free for students of our Institutional Member Schools. Special thanks to Panopticon Imaging for their underwriting contribution for this PRC event. April 11 at 7 p.m., in the lower level screening room of University Hall, 1815 Mass Ave, Porter Square, Cambridge. The venue is steps away from the Porter Square Red Line T-Stop, as well as stops for the 77, 96, 83, and 87 bus routes. Paid parking is available on the street and in the lot behind University Hall, accessed from Roseland Street. Moises Saman, Yunghi Kim and Tyler Hicks, Kosovo 1999. Image by Alan Chin, used by permission. New York City-born photojournalist Alexandra Avakian began her professional career in 1983, after graduating from Sarah Lawrence College and attending the International Center of Photography. She has covered many of the most important issues of her time. Alexandra Avakian, image courtesy of the artist. 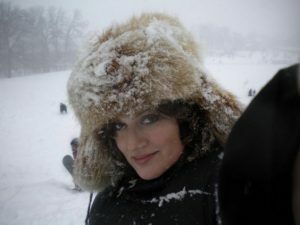 Her photographs have been published in National Geographic, Time, Life, the New York Times, and the New York Times Lens blog, and extensively in many other publications in the US, Europe and Asia. Avakian has been exhibited widely, including at the Annenberg Space for Photography, the Corcoran Museum, the Goethe House, the Brooklyn Museum, NYU Tisch School for the Arts, and the Pingyao Photo Festival, and three times at Visa Pour L’Image in Perpignan, France. 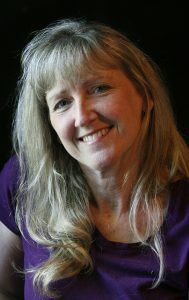 She has appeared in books published by National Geographic, including her own photo and text memoir Windows of the Soul, as well as Time Life Books, Clarkson Potter Books, and others. Avakian has appeared on CNN (Anderson Cooper 360), Fox Business News, VOA TV, and in the documentaries The War Photographers and Steven Soderbergh’s An Amazing Time: A Conversation About “End of the Road.” She has done radio shows across the US and is a frequent public speaker. The Pulitzer Prize’s lone four-time winner, Carol Guzy is a freelance photographer contracted with Zuma Press. She previously worked for the Washington Post from 1988–2014 as a staff photographer. Guzy graduated in 1978 with an associate’s degree in registered nursing from Northhampton County Area Community College in Bethlehem, Pennsylvania, her hometown. A change of heart led her to study photography at the Art Institute of Fort Lauderdale, Florida, where she graduated in 1980 with an applied science associate’s degree in photography. While at the Art Institute, she interned at the Miami Herald, which hired her as a staff photographer upon her graduation. After eight years there—during which she won the 1986 Pulitzer Prize for Spot News Photography (as one of a two-member team covering the Armero, Columbia mudslide)—she moved to Washington, DC to become a staff photographer for the Washington Post. Guzy was honored twice with the Pulitzer Prize for Spot News Photography for her coverage of the military intervention in Haiti and the devastating Armero mudslide. She received a third Pulitzer Prize for Feature Photography for her work in Kosovo. She is the only journalist to ever receive a fourth Pulitzer, that one for coverage of the Haitian earthquake in 2010. 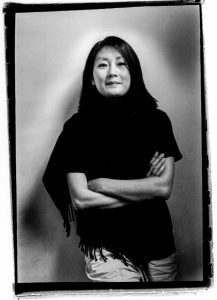 She has been named “Photographer of the Year” for the National Press Photographers Association three times, and by the White House News Photographers Association eight times. Yunghi Kim has covered some of the biggest international stories in the last 34 years. Kim came to the United States from her native South Korea at age 10. She graduated from Boston University in 1984 and was a staff photographer at the Boston Globe for seven years. Kim was a member of Contact Press Images from 1995 to 2008, and currently is a special contributor. Kim has covered conflicts and in-depth, issue-driven stories all over the world. Intimate storytelling and giving a voice to her subjects through the camera remain important to her. She is most proud of her documentation of the lives of the former South Korean Comfort Women. Kim has received some of the profession’s highest accolades, including the World Press Photo Awards, POYi awards (including being one of only two women to receive the Magazine Photographer of the Year by POYi), the Olivier Rebbot and the John Faber Awards from the Overseas Press Club, Visa D’Or for News, the White House Press Photographers, Boston Press Photographers Association, Communication in Arts and Society for News Design, and the Distinguished Alumni Award from Boston University. Kim has also worked on extensive magazine-commissioned assignments. She has been published in Time, Newsweek, Businessweek, US News and World Report, Life, Forbes, Fortune, Sports Illustrated, People, Vogue, New York Times, and the New Yorker. 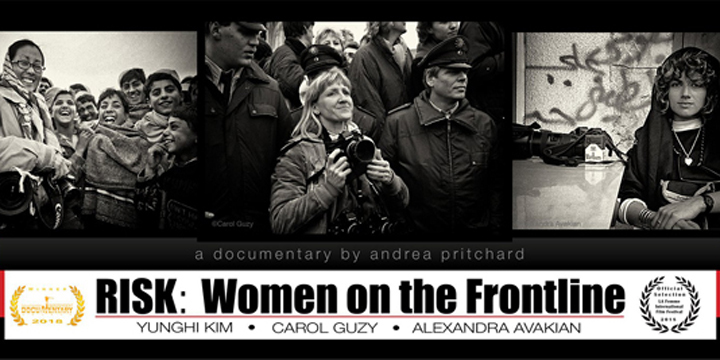 RISK: Women on the Frontline director Andrea Pritchard is an accomplished photographer and visual artist. Her background includes all aspects of visual arts, which translates into dynamic and striking imagery. She holds a graduate degree in visual journalism and a BFA from Concordia University. Her images document and capture evocative and emotional moments. Pritchard began photographing and documenting at the age of seven. This evolving passion has been a constant thread throughout her life. She has been a designer and art director, and has worked with and mentored many talented artists. 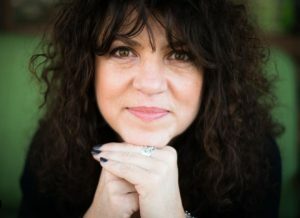 Her work has been featured on several photography sites, including Exposure, Evidence Gallery, Art of Mob, and The Whole Story. Pritchard has exhibited at Concordia University, John Abbott College, Desjardins, and the Story of the Creative New York, among others. She was nominated for a JUNO for her album design work for April Wine. 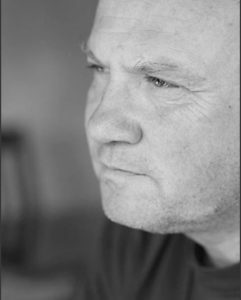 Greg Marinovich is co-author of The Bang Bang Club, a nonfiction book on South Africa’s transition to democracy that has been translated into six languages. He is a Pulitzer Prize-winning photographer and filmmaker. He spent 25 years covering conflict around the globe, with his writing and photographs appearing in magazines and newspapers worldwide. His 2012 award-winning investigations into the Marikana massacre of miners by police was called the most important South African journalism post-Apartheid. His book based on that investigation was published early in 2016. Marinovich was Editor-In-Chief of the Twenty Ten project, tutoring and managing over 100 African journalists’ work in all forms of media. He gives lectures and workshops on human rights, justice photography and storytelling. He was a Nieman Fellow at Harvard University in 2013/14 and currently teaches visual journalism at Boston University’s Journalism school and the Harvard summer school.